I remember being a junior in high school and having our class Christmas party. We were allowed to wear our own clothes and not our uniform, so everyone would usually try to dress as nicely as possible. I wore a beige and white striped fitted top with a pair of light wash flared jeans. That was actually the last time I owned and wore flared jeans--until today. After that, straight cut and skinny cut were all the denim rage; between which, I favoured the latter. However, this post is not about which cut of jeans I favour most. 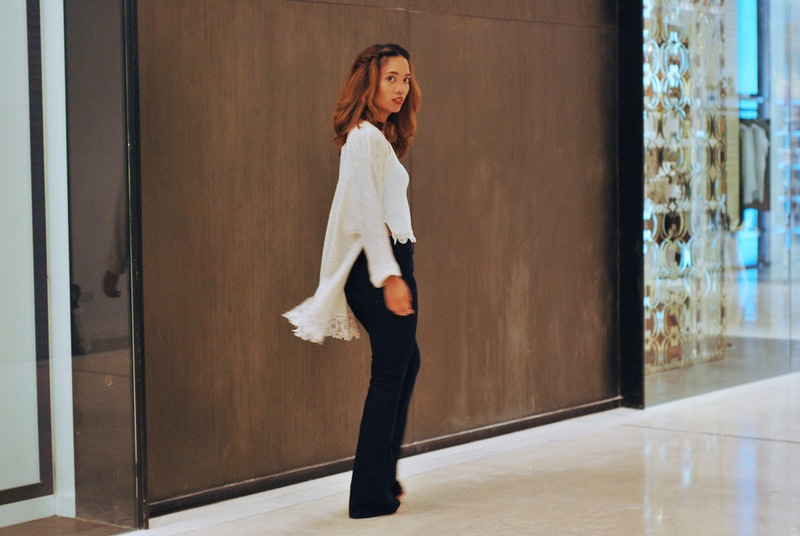 It's about how I found my way back to appreciating the godsend style that is flared jeans. In all honesty, had it not been back on the trend radar, I don't think I would have given it another go any time soon. But all is fair in the fashion cycle, so it's back! [In Austin Powers' tone] Yeah, baby. 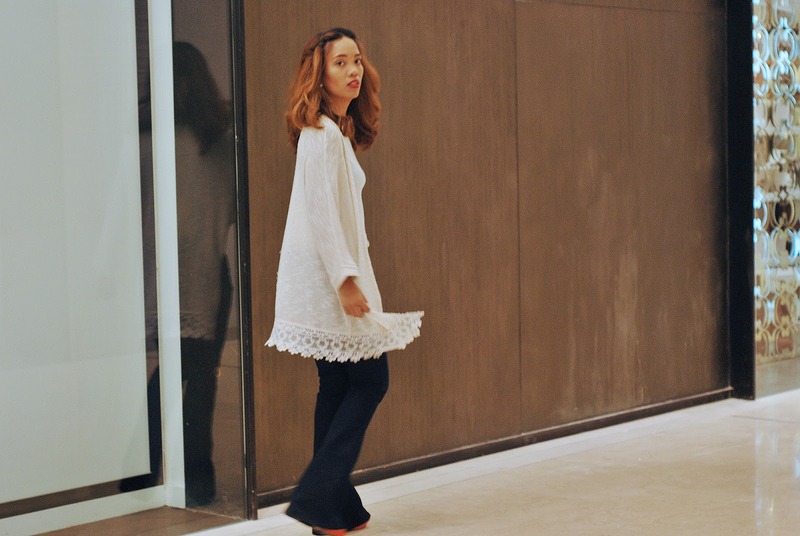 How I found my way back to loving flared jeans is not easy. First off, there are actually variations to this style: Wide Leg Jeans, Bell Bottoms, Bootcut Jeans, and Trouser Jeans. All of which are open for your trying, but I can't guarantee you will love all of them. Personally, I steer clear from the wide leg jeans because they don't normally hang the right way on my body. Girl got booty, so wide leg ain't so wide leg any more when I wear it. But as with any other trend, you will find your fit if you are patient enough to keep trying! I took about 4 pairs of flared jeans with me into the fitting room when I rummaged through F&F's stash. From that experience, I can tell you that cut, colour, and fit are all very important in finding your perfect pair. Case in point - I actually took the same style but in different colours, and ended up only loving this dark wash one. That's not to say that only dark wash will work for me. However, for this particular fit and style, that is what worked. Since picking up a pair for myself, I have been itching to try out different styles from boho to retro. I am truly fascinated by 70s fashion, actually. 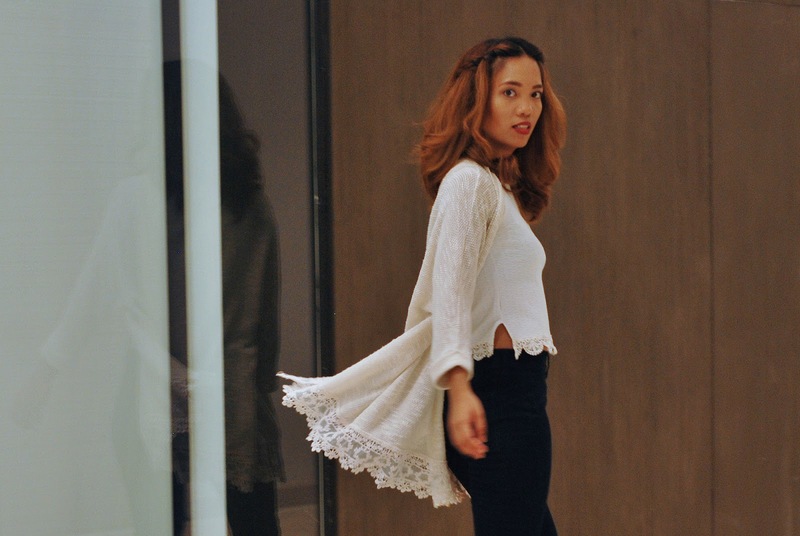 In this number, which I wore to our company Christmas party, I paired it with a long knitted cardigan and a cropped top underneath. The jeans are still quite long on me, so I wore quite a high pair of wedge sandals. 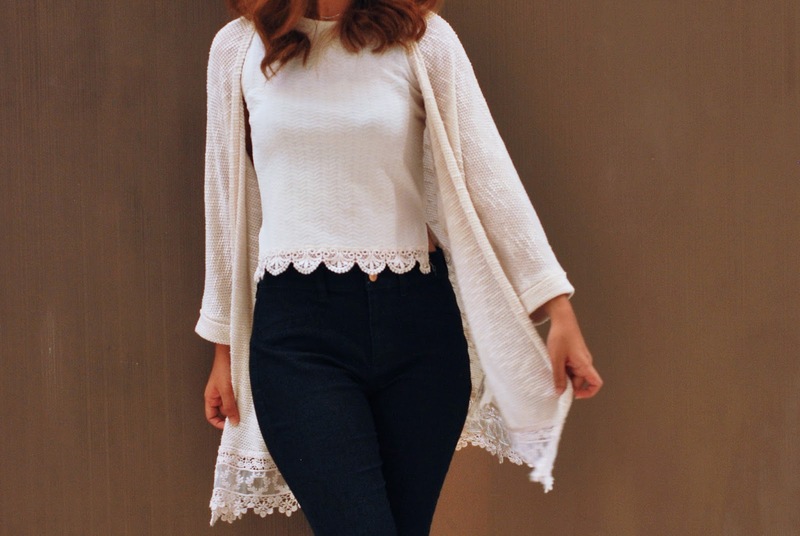 Let me know if you've styled flared jeans before and how you wore it!